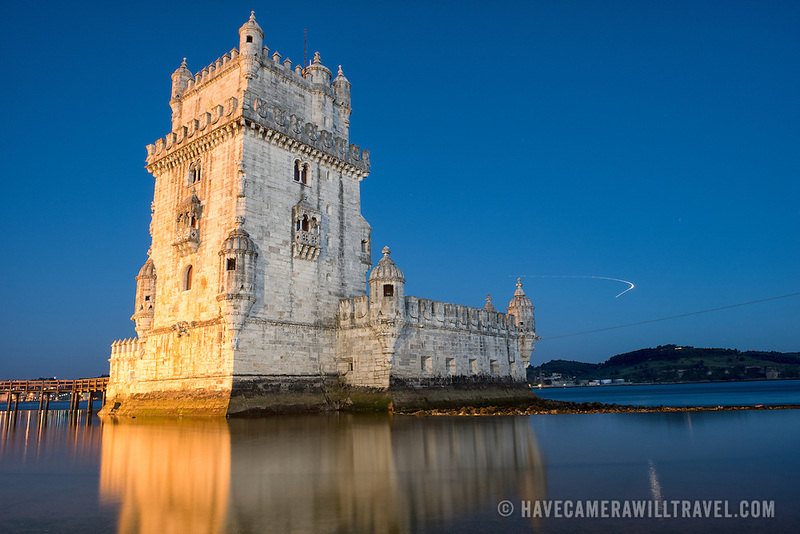 LISBON, Portugal -- Built on a small island near the banks of the Tagus River just to the southwest of downtown Lisbon, the Tower of Belem (or Torre de Belém) dates to 1514-1520. It was part of a defensive network protecting shipping to Lisbon port and beyond during Portugal's Age of Discovery. Paired with the nearby Jerónimos Monastery it is listed as a UNESCO World Heritage Site. The light in the sky at right is the light trail of a plane coming in to land at Lisbon International Airport.